After 19 years in physical therapy, one thing is clear- most distance runners will eventually suffer injuries. The repetitive nature of running significantly increases a runner’s chances for overuse injury. These injuries usually have underlying causes that could have been prevented. A biomechanical evaluation provides an excellent blue print of your body’s movement patterns and can provide a plan to avoid injury. 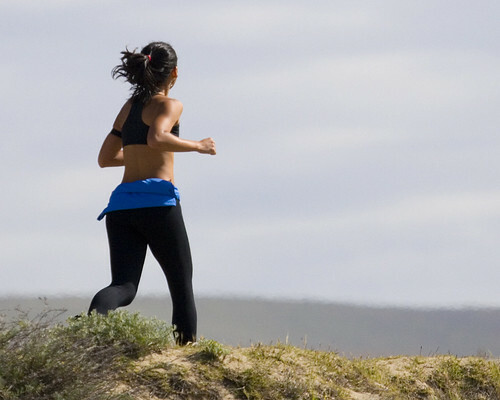 Running can result in muscle imbalances. Low back muscles, hip flexors, quads, and calf muscles become dominant and overpower the lesser-used, opposing muscles. These imbalances gradually cause deviations in running form and posture, leading to weak, vulnerable joints and muscles. Previous injuries, daily habits, and lifestyles can create limitations in joint mobility. Limitations in joint mobility or ROM, cause movement compensations. With compensation creases asymmetrical forces on the body lending itself to injury. Weakness in the core or postural muscles lends itself to overuse injury. Postural muscles provide stability for our limbs to move. Without postural stability, our limbs are vulnerable to all kinds of injuries. Overtraining can be a source for injury. As we fatigue, our form deteriorates. When our form deteriorates, our bodies are at a much greater risk for injury. Trying to push too hard or run too long can do more to halt your progress than help you out. Know your limits and check your form while training. Good news! With proper education and an understanding of the body mechanics of running, runners can limit and manage injuries. No runner wants to be told to lay off running! A good biomechanical analysis of running, along with a functional movement screen, can provide a runner with great insight into injury prevention. Identifying the muscle imbalances, joint imbalances, and other limiting restrictions is the first step to a successful running plan. Without a plan, these factors may contribute to a running injury. Often these injuries could be avoided with a good biomechanical evaluation and intervention. A physical therapist is a great resource to manage the stresses of running, in order to keep you on the road. If you love running, you owe it to yourself to develop a plan. Let our physical therapists provide you with the tools for success, and come in for a running evaluation. If you would like to schedule a biomechanical running evaluation, please contact our office. For more information on running, injury prevention, and training techniques like us on Facebook or follow us on Twitter.